Your landscape contributes to the overall value, beauty and usefulness of your property. We work together with clients to achieve cost effective solutions. Our goal is to provide quality and professional service, dedicated to meet the individual needs of each of our clients. Quality service and attention to detail is what sets us apart. 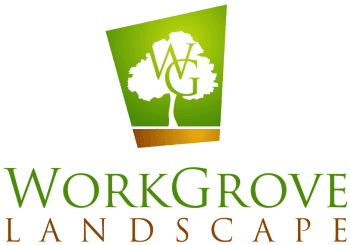 "We couldn&apos;t be happier with the quality of work that Workgrove Landscape provided to us. Leo understood our vision and executed it. He was very easy to deal with and very accommodating. His prices are fair compared to the competition. His crew keeps everything clean and they get the job done quickly. We highly recommend him and would use his crew again without hesitation. Leo, thanks for making our backyard a beautiful place for our family and friends to enjoy!" "I hired Workgrove Landscape to clean up my backyard and remove over 11 huge palms and trees. They got the job done fast and safe being that it&apos;s all slope. I am very pleased with the quality of work and experience the crew has. I will also be calling them back to do some planting." "I have completed a landscaping project with Workgrove Landscape and couldn&apos;t be happier with their service. They made it a wonderful experience and everything looks beautiful! Everyone we worked with was professional, knowledgeable and a pleasure to work with. They were always on time, kept us informed every step of the way and answered our many questions. We are highly recommending them to others! Thank you for making this such a pleasant experience!